VSO Blu-ray to PS3 Converter makes it easy to convert Blu-ray movies to high quality MP4 files that works on the PlayStation 3 without further processing. 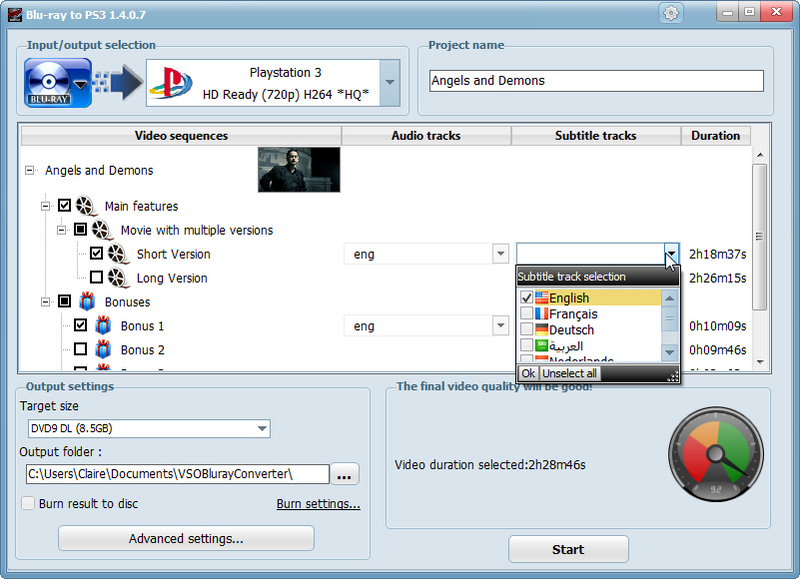 You can select which Blu-ray video segment, as well as subtitles, you wish to include in the conversion. The output can be in SD or HD. VSO Blu-ray to PS3 Converter also supports NVIDIA CUDA for accelerated conversion. If you plan on converting Blu-ray to a lot of different formats and devices, you may want to consider VSO Blu-ray Ultimate Converter, which includes all the features of this software, but also all the other Blu-ray converters available at VSO (Blu-ray to PS3, to DVD, to MKV, to AVI, and to Xbox 360).